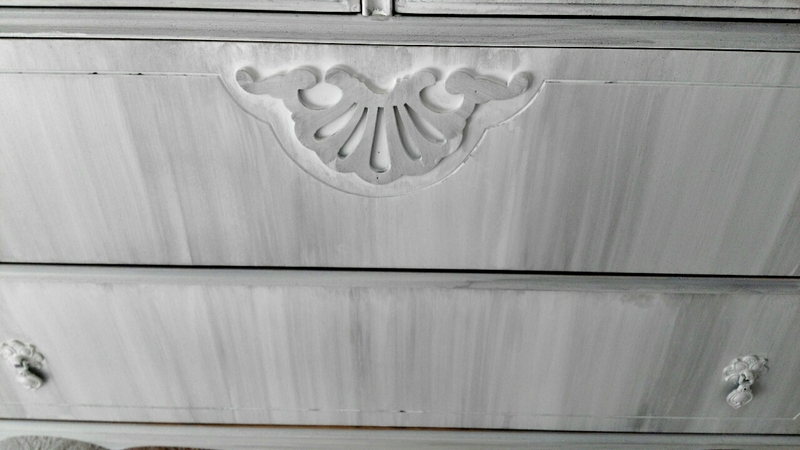 Mr Chuckles and I moved into a new home recently and I had so much fun painting lots of new pieces of furniture for it. 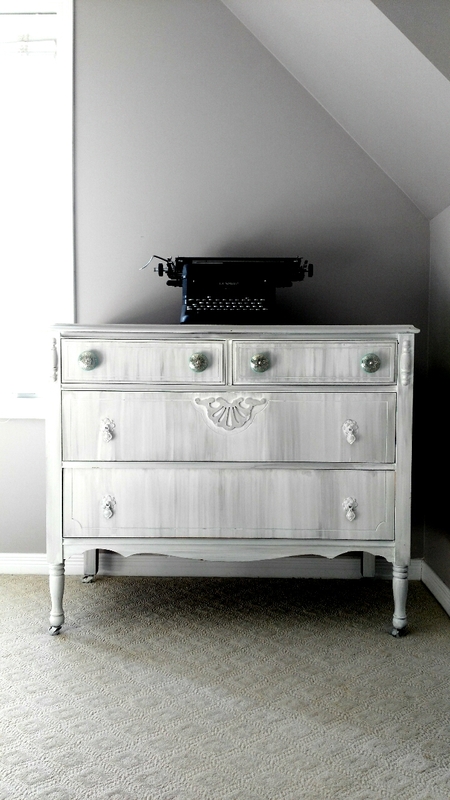 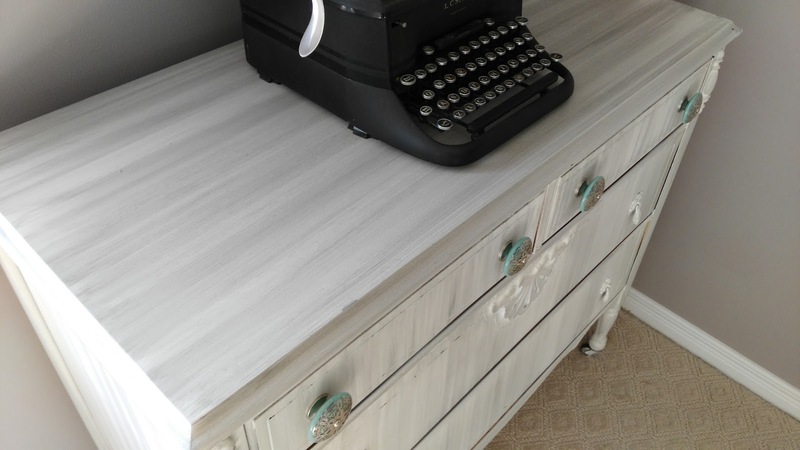 This little antique dresser came with a matching headboard which got a similar look and is in one of the spare rooms. This one takes pride of place in the master bedroom and it compliments the tufted headboard that Mr Chuckles made with (for) me. I painted a base coat of white, and then had fun with some gray accenting. 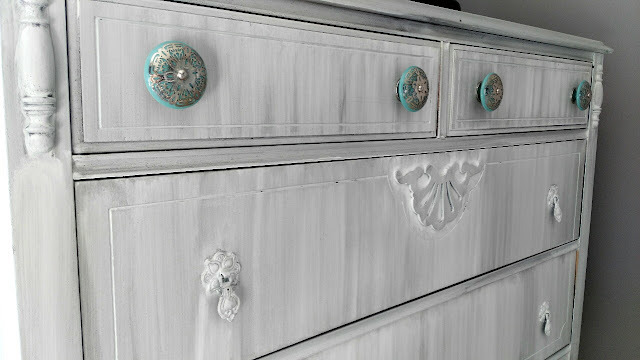 I also added these cute turquoise and silver knobs to the top.